Canada’s long-awaited Environmental Emergencies Regulations, 2019, were finally published in Canada Gazette on March 6, 2019. Approximately 4,800 facilities will be subject to the Regulations. Of these facilities, approximately 3,000 will be required to prepare, implement, exercise and update environmental emergency plans. The final Regulations repeal and replace the Environmental Emergency Regulations, and will come into force 180 days following their registration. The main changes in reference to the Environmental Emergency Regulations are described below. Schedule 1 of the Regulations contains a list substances presented in three parts. 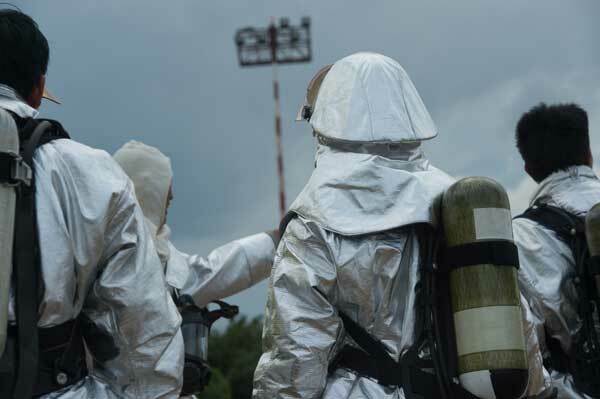 Part 1 lists substances that are likely to explode, Part 2 lists substances that are hazardous when inhaled, and Part 3 lists other hazardous substances. The final Regulations introduce 33 additional substances to the consolidated Schedule 1, thereby increasing the number of substances listed in the final Regulations to 249. Regulated parties that have the ownership, or the charge, management or control, of any of these listed substances at or above specified thresholds are required to provide facility and substance information. If the thresholds for both the quantity and the container capacity are met, regulated parties are also required to either develop an environmental emergency plan or amend an existing plan to account for the new regulatory requirements, and bring into effect and exercise the plan. The final Regulations require that an annual simulation exercise be completed for each of the applicable hazard categories (identified in column 5 of Schedule 1) present at the facility. A full-scale simulation exercise is required every five years. The final Regulations contain more detailed provisions for environmental emergency plans concerning public notifications in advance of the possibility and potential consequences of an environmental emergency that could have harmful impacts outside the boundary of the facility. Under the final Regulations, each regulated party required to prepare an environmental emergency plan has to ensure that the plan is adequate to address emergency-related situations that could occur at their respective location. The final Regulations also require that an environmental emergency plan include a plan of the facility showing the location of any substance in relation to the physical features of the facility and, if applicable, a description of consultations with local public safety authorities. Under the final Regulations, regulated parties that meet either the applicable quantity threshold or the applicable container capacity threshold are required to submit periodic notices every five years with facility and substance information. The final Regulations specify that a written report of an environmental emergency is only to be submitted if the release has or may have an immediate or long-term harmful effect on the environment, constitutes or may constitute a danger to the environment on which life depends, or constitutes or may constitute a danger in Canada to human life or health. If there is any doubt as to whether the incident is a reportable environmental emergency, the incident should be reported to the Department of the Environment. Among other exemptions, the final Regulations contain an exclusion provision under the definition of substances for those substances contained within pipelines and facilities that are regulated under the National Energy Board Onshore Pipeline Regulations and the National Energy Board Processing Plant Regulations. The final Regulations come into force, at a minimum, six months (180 days) after their publication in the Canada Gazette, Part II – therefore, approximately September 6, 2019. This course, part of CANECT 2019, features a presentation on the implications of the new Environmental Emergencies Regulations by Rob Read, Senior Program Officer for Environmental Emergencies Regulations compliance, Environment and Climate Change Canada. Mr. Read’s presentation centres on the requirements, the timing of provisions, additional substances, key changes, and an outline of the new reporting system. His presentation will be complemented by a presentation by Sat Anand, Quality & Regulatory Manager, Anco Chemicals Inc. and Chair, Toronto North Community Awareness and Emergency Response (CAER) who will outline the practical aspects of complying with the regulations and building an ERAP. Click here to see full course details. In addition, Environment and Climate Change Canada is holding a series of webinars in both English and French. If interested in the latter, complete this form. News item courtesy Courtesy Templegate Information Services Inc.
For information and sample newsletters on environmental regulation and compliance news click here. For information on workplace environment health and safety, click here. See also, HSE Regulatory Alert.